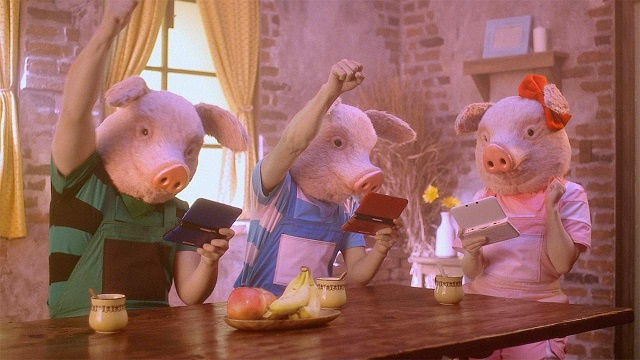 Capcom has already unleashed some pretty unusual commercials to support Monster Hunter 4 (and, by extension, Monster Hunter 4 Ultimate) on the 3DS, but this latest one looks set to top them all. The TV spot — which is due to air on March 1st — has been teased by Japanese site 4Gamer. 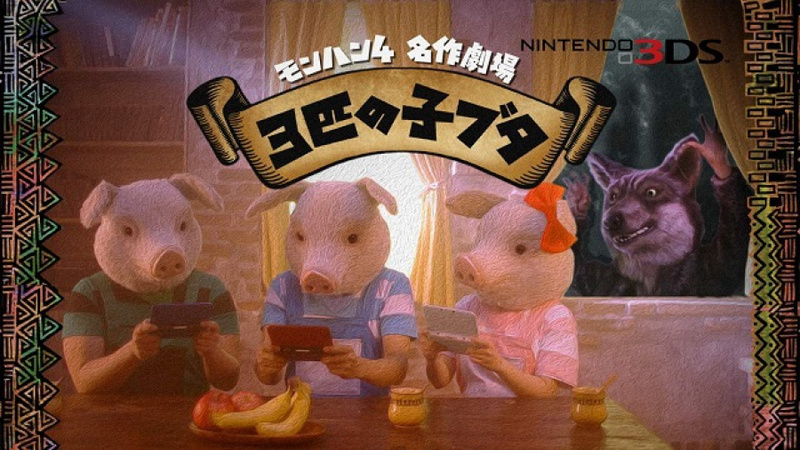 It appears to be based on the story of the Three Little Pigs, complete with disgruntled (and famished) wolf standing outside the house, waiting to feast on the trio of plump piggies — all of which are too engrossed in a game of Monster Hunter to notice. It's certainly a unique way to advertise the game, but will it prove effective, or just weird people out? Let us know your opinion by posting a comment. On a semi related note,I am almost finished putting a weapon change compilation for MH4 just need two moves I cant seem to find on youtube. When you jump off a ledge you do a slam attack which you can shotgun when it hits. If you know any videos containing these send them my way so I can finish this video up. Will you stop with the Monster Hunter related articles!! It only makes it more painful of the fact it's still about a year away! Goes back to Ultimate. is there a way to see the commercial? Okay, so this is terrifying. Smart, really smart! But yeah, also a bit creepy. They should have had the wolf turn around only to see a hunter in full ratholos armor yielding dual blades ready to hunt HIM! lol What the hey, it's the pig men from Doctor Who! They're back! But bizarre commercial to put on, especially for a game about hunting monsters. Thanks Capcom for giving me nightmares. I wouldn't mind them bringing back that bearded guy from the Tri ads, who kept saying"To be a Monster Hunter you must etc"
Well, it's Japan, so I highly doubt anyone there will be weirded out. 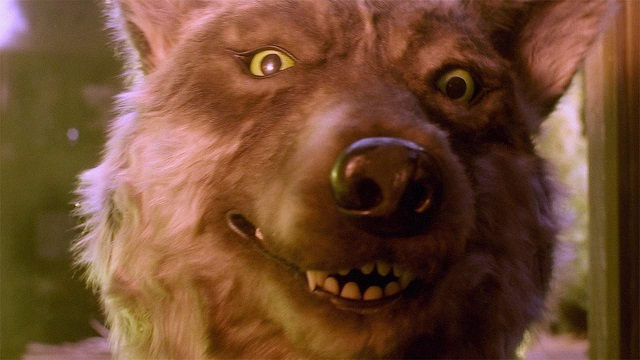 @Lunapplebloom Well this bad wolf is a lot less good looking. Better grab my monster hunter gear and slay it. @Senario I see what you did there.